As consumers turn to mobile for shopping, businesses must make their mobile site speeds a top priority. 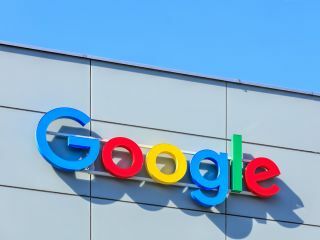 Google has launched a number of new e-commerce tools aimed at helping businesses improve how the deal with customers shopping by smartphone. The company has launched two new tools that can be used to identify how fast a mobile website is and how much more revenue a business could earn if their site's speed was increased. Businesses have not prioritised their mobile sites and now that more online shopping than ever is done from a smartphone, this needs to change. Google's analysis suggests that by improving mobile load time from six to three seconds that an average site could see an increase of $255,000 in annual revenue. The company's new Speed Scorecard will allow businesses to measure the speed of their mobile site against top brands to see where their site ranks. Google is also launching an Impact Calculator which will let companies see how much more revenue they could generate if the speed of their mobile site was increased. To give businesses an indication of how their site stacks up, the company has conducted a Mobile Site Benchmark Study to rank the top mobile sites in the categories of retail, travel and finance with Etsy being the top site in retail, Booking.com beating out other travel brands and Confused.com being listed as the top financial brand. The shift towards mobile has been increasing steadily among consumers and now is the time for businesses to optimise their mobile sites to meet the growing demand of shoppers on the go.